First, I want to say Happy New Year and I also want to thank those who supported me in 2016. 2017 is full of opportunities and I hope everyone gets an opportunity capitalize on that. Recently, I was recruited for a collaboration that involved the mega brand Coach. I was super excited and humbled at the opportunity. I've always wanted to own a Coach bag and my dream became a reality. 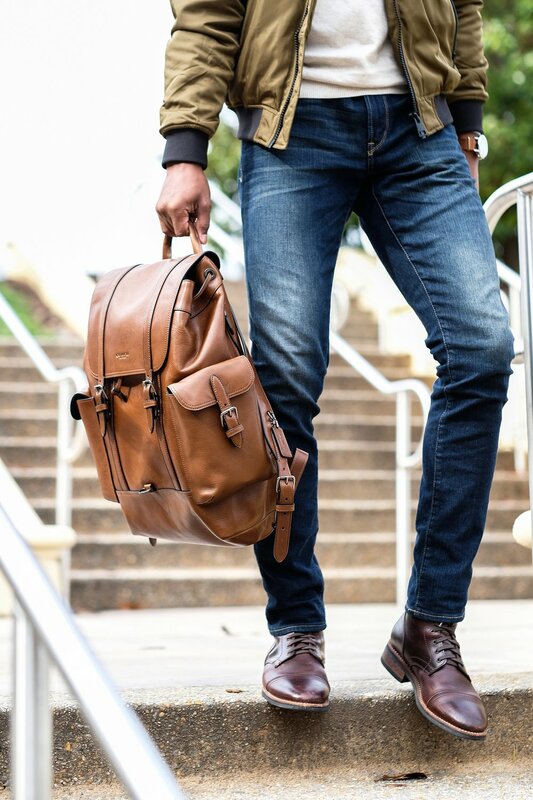 Here we have the Metropolitan Rucksack in sport calf leather with a beautiful brown finish. Despite it's luxury, it encompasses the functionality of your everyday backpack. I can carry all of my daily essentials including books for school. Above all else, this bag is stylish and it's worth every penny! Click the link below to purchase and to check out Coach's range of luxury bags.